Emerging from the ashes of the devastating fires, the Garden Route is back in business with the ever-popular Pick n Pay Knysna Oyster Festival! The regrowth of the region, following last year's devastating fires, has been nothing short of phenomenal. The picturesque Garden Route will have no shortage of activities (over 100) to keep visitors to the area entertained. Taking place between 29 June and 8 July, the Knysna Oyster Festival is sure to be a memorable, and cathartic event to demonstrate the resolve and resilience of the region this winter. To the uninformed, the Knysna Oyster Festival might seem to merely be a culinary festival in a picturesque location. This characterisation of the event only tells but a part of the story. For many years, the Knysna Oyster Festival has been billed as South Africa’s premier winter-time sport and lifestyle festival. Sporting enthusiasts can look forward to a variety of cycling and road-running events in incredible locations. 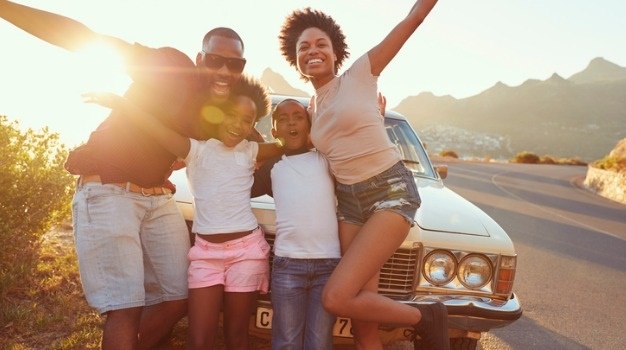 Families and adventurers alike can expect to be delighted by the multitude of holiday and adventure options in what is considered one of South Africa’s most spectacular natural environments. It goes without saying that visitors can also expect to enjoy world-famous Knysna oysters and, perhaps, an accompanying glass of sparkling wine or two! Festival programme of events: Full Details here. Cycle Tour info: Full details here. Marathon info: Full Details here. If it is the gastronomic elements of the festival you are most looking forward to, you will be well rewarded for taking the trip to Knysna for the Oyster Festival. Twenty of the restaurants in Knysna will become ‘Heinz Flavour Hotspots’ where visitors can expect to have their oysters sauced and spiced up to enjoy the famous Knysna oysters in bold and exciting new ways. Make sure to keep an eye out for Heinz’s hot-spot flags outside of the participating restaurants. Still hungry? No problem. Check the locals battle it out for the title of “Best Fish Braaier in Knysna” at the Fish Braai competition on Thursday 5 July from 16:00 to 18:00. If that still isn’t enough excitement for you then make sure you check out the Oyster Shucking and Eating Competition on Friday 6 July from 12:00 to 13:00. Watch competitors sweat it out as they go head-to-head in a frantic bid to outshuck one another. Both of these events are free of charge and will be taking place at the Woodmill Lane Shopping Centre. You’re going to need something to help ease all those oysters down your throat, why not make use of the multitude of wares available at the Knysna Wine Festival? From Monday 2 to Tuesday 3 July from 17:00 to 21:00, visitors can experience the best of South Africa’s wine farms. With a selection of over 200 wines from more than 50 wine producers as well as craft liquors from across the Cape Winelands and Garden Route, expect a lot of smiles and merrymaking on Thesen Island. Tickets are available for R150 at Webtickets. The Festival programme includes musical concerts, comedy and fashion shows. Prepare for some gut-busting, laughter-filled times at the Comedy Chuckle. Taking place at Mitchell’s Brewery, this year’s lineup will feature the comedic talents of Kagiso Mokgadi, Yaseen Barnes, Dalin Oliver and Carl Weber. Make sure to not miss out on the Emo Adams Evening of Comedy and Entertainment on Saturday 7 July. Enjoy! Families are well-catered for with the Momentum Health Kiddies Area offering an adventure-filled, tailor-made, programme for the little ones. This year, sporting enthusiasts have plenty to look forward to with mountain biking taking place on Saturday 30 June in 50, 30 and 15km routes. The Momentum Knysna Cycle Tour will take place on Sunday 1 July offering a 115 and 50km route. Cyclists are in for a pleasant surprise as this year’s Momentum Knysna has confirmed that the 115km road race, in addition to the 80 and 50km mountain bike races, will be seeding qualifying events for the 2019 Cape Town Cycle Tour. 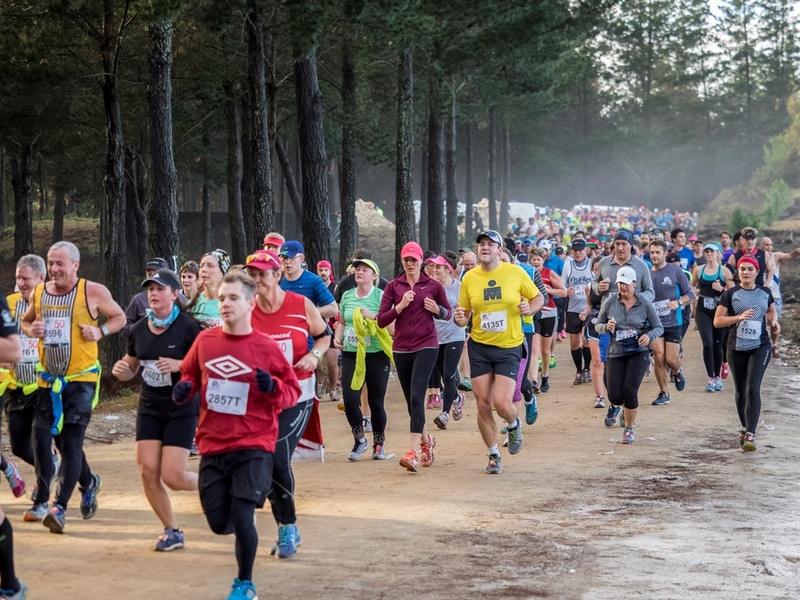 On Saturday 7 July, runners can look forward to the Momentum Knysna Forest Marathon and Half Marathon. Runners can expect an inspiring, revitalising view of the Knysna Heads and Knysna Lagoon as they run along to the end of the race. If you're looking to get involved with some (slightly) less physically-strenuous and aquatic activities, fret not as Knysna has got you covered there too. On Sunday 1 July, visitors can try their hand at the Harbour2Heads Lagoon Challenge, a marathon-style paddling on the Knysna Estuary. Alternatively, jump in headfirst and enjoy yourself at the Momentum Knysna Lagoon Mile Swim on Monday 2 July. Not keen on getting soaked? Grab the family and head into the forest and enjoy the natural splendour and beauty of the Garden Route. The FNB Forest Family Hike is taking place on Monday 2, Wednesday 4 and again on Friday 6 July. The legendary Harkerville Trails provide people of all ages and fitness levels the chance to absorb the magic of these famous forests. There is a brisk hike over a 10km distance, and shorter rambles of 6km and 2.5km. Look out for a Knysna Loerie or even an elephant. Share the ecological importance of the forests with children while enjoying quality family time. More than just sport, good food and drink, the Knysna Oyster Festival is also an event with a social conscience. The Knysna Municipality economic development team has worked with local entrepreneurs to bring some great events to keep visitors entertained at the Festival. Bulelane Memane will be hosting the Colour Splash Party featuring DJ Bongs on Saturday 30 June. Oliver Mabukane is organising the Ikasi Colour Fun Run on Sunday 1 July, which will be followed by a street bash after party. Vuvu Ralushe will play host to the Green Carpet Fashion Extravaganza at Club Vinyl on the Main Street of Knysna on Sunday 8 July. Make sure you make some time to check out these great events!